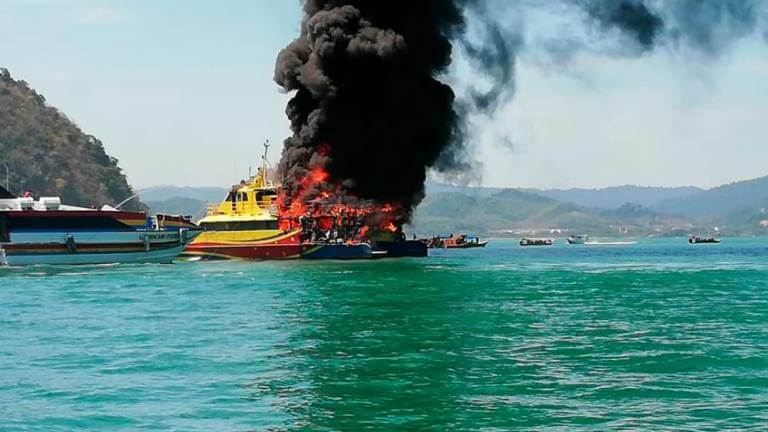 According to Harian Metro, a passenger ferry leaving Kuah, Langkawi bound for Kuala Kedah suddenly caught fire at around 2.45pm today (25th February) just a few minutes after it disembarked. 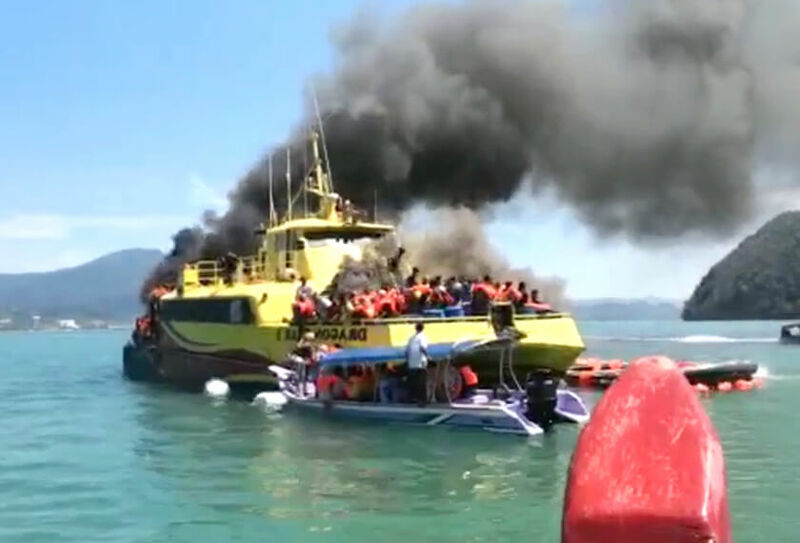 Wasting no time, Marine department personnel, firemen, and nearby fishermen took their boats to the ferry to help rescue the trapped passengers and put out the fire. 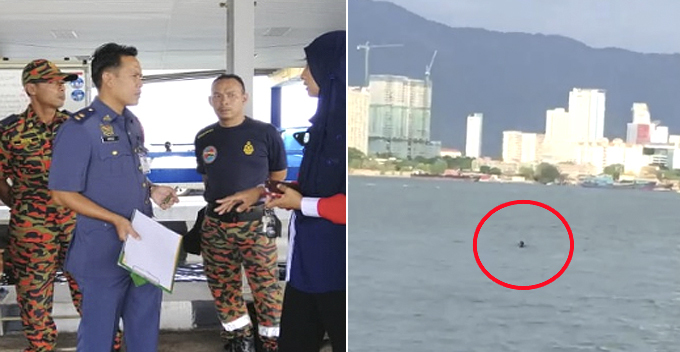 According to a passenger, 29-year-old Fatihah Arshad, he told the daily that about five minutes after their journey began, passengers started to smell smoke. Fatihah was among the 52 passengers on this ferry. Once it was confirmed that there was a fire, the staff began to instruct passengers to evacuate by moving to the front of the ferry. During the rush to safety, however, not all of them had enough time to put on their life jackets. 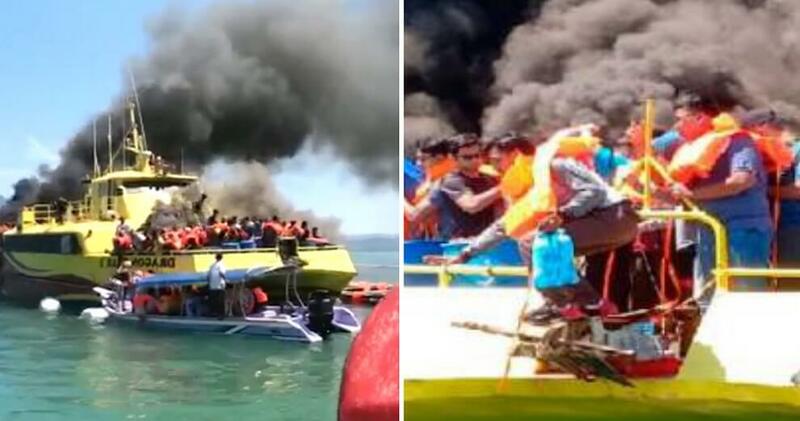 In the midst of the panic, Fatihah and a number of other passengers jumped into the nearby boats before the fire could spread any further. In an update on the incident, all passengers have been reportedly saved from the fire. None of them sustained any injury. 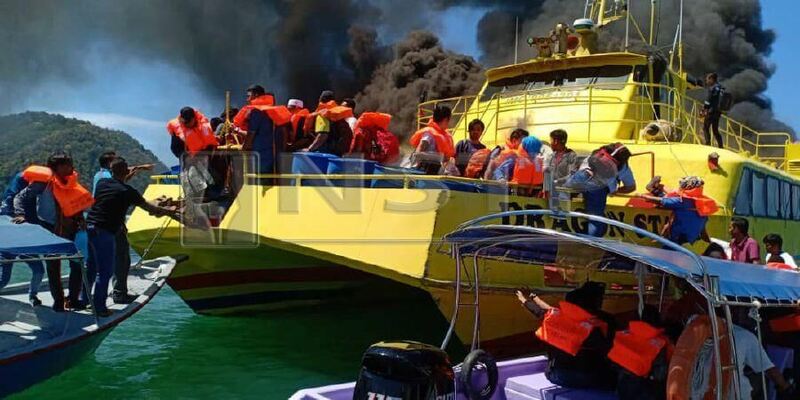 Meanwhile, it is believed that the fire began in the back of the ferry, where the engine was, according to Harian Metro. Now, the head of the Malaysian Fire and Rescue Department’s Kedah Operations Centre, Superintendent Zamani Ismail, confirmed that a report of the incident has already been received. Well, we’re glad that all passengers managed to escape unharmed. Let’s hope that the authorities are able to determine the cause of the fire to ensure this doesn’t happen again!